Are you ready...for the hay fever season? The arrival of summer is n ot welcomed by everyone. Those with hay fever, the blooming of nature means pollen and pain. In spring, plant life comes into bloom and many forms of trees, grasses, fungi and flowers release pollen and spores in order to reproduce. Hay fever is a name that covers a range of different allergic reactions, all of which peak around the same time of the year. The pollen of the birch tree is one of the most prolific pollen allergens in Britain and Ireland. The most common allergen in Ireland is grass pollen. The highest pollen count levels within Ireland are usually found in lowland country areas, especially agricultural areas where there is likely to be a lot of grassland. 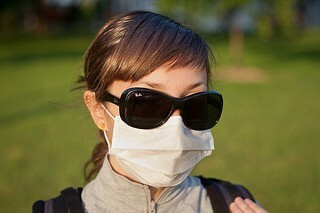 In Ireland, the high pollen season usually begins in June, depending on which part of the country you live. The worst days for hay fever sufferers are hot, sunny days with light winds and no rain. In the country are generally four or five times higher than in cities. However, the greater concentration of pollutant particles in the city might aggravate the incidence of hay fever. People who suffer from hay fever should take pre-emptive action by visiting their GP and working out a treatment plan in advance of the high pollen season. The condition mostly affects the nose, blocking it up. Sinuses can get blocked too, causing headaches. In the pharmacy you can obtain antihistamine based treatments or steroid nasal sprays. Antihistamines do not treat the blockage of the nose, so often patients end up going to their doctor to obtain oral steroids. Steroids can take down the swelling and lower the level of the secretion of mucus. By going to the doctor or pharmacist before the onset of the pollen season, people with hay fever stand the best chance of getting through the sneezing season without having their summer ruined by an allergic reaction.